Crisp. Clean. Contemporary. 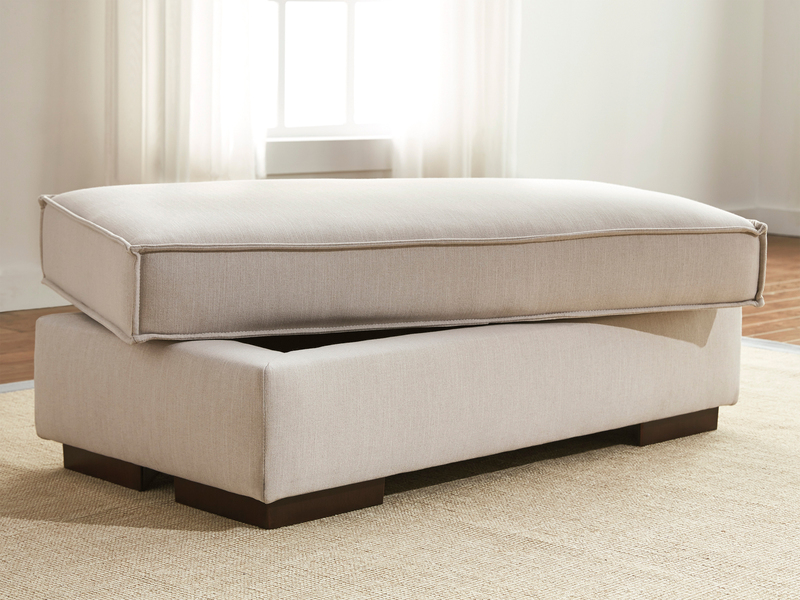 If those words are music to your ears, the King ottoman with storage is beautifully in tune with your sense of style. Don’t be fooled by its designer good looks. This baby has substance, as in loads of open storage space underneath the plush, removable top cushion. Prominent piecrust welting, large track arms and low, wide feet call attention to a distinctively linear profile.